From the creators of the super popular Unicorn Chef brings you the newest MERMICORN Cooking Games! You told us and we kept our promise!! We have read all your reviews and we are releasing this special version of Mermicorn Cooking Games for the fans that have asked for MERMAID related foods!!! 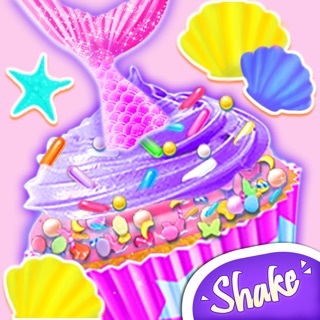 - A super fun food-making game with TONS of MERMAID foods! - Keep updated with new mermaid related foods every month! If you like our app, it means a lot to us if you rate us 5 stars! Thanks for your review Shania. The game is free, you can keep the ads and keep playing without needing to pay. Thanks for being a fan and thanks for your feedback! People younger then 12 can play this game. I love this app so much and I’m totally addicted! The game is really nice but it’s kinda slow when your making the foods. But if you like mermaids and unicorns then you should totally play the game. I know it say it 12+ but anybody can enjoy this game! I don’t know why somebody wouldn’t like this game! The people that made this game are so creative! I couldn’t have ever think I could come up with this game! 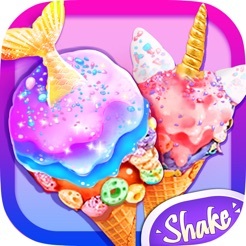 I just love it and nothing could be a better mermaid and unicorn game! I hope more drinks came out though. And also I know it says it has smoothies and cake pops but really some of it is untrue. They say they have smoothies cake pops and stuff but don’t have and they only have one drink so I’m hoping for more foods and stuff. So if your really looking forward to those cake pops or smoothies then don’t get your hopes up. Also most of these foods and candy are just mermaids. 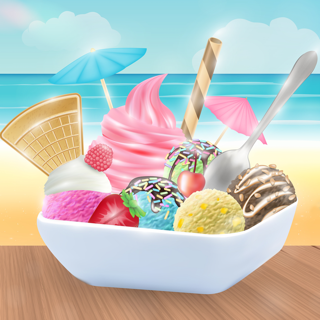 By the way most of the food are rainbow and no matter what it’s gonna be multicolored so if you dont like multicolored stuff then don’t get this game. This game is my life!!!!! Thanks for your review! We are so happy to hear that you are really enjoying our game. We'll try an make the beginning animations more like the game as you mentioned. No problem, your feedback will help us make the game even better!